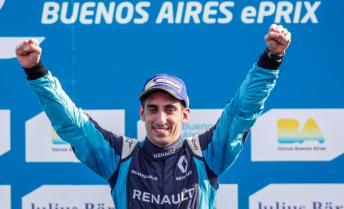 Sebastien Buemi further extended his FIA Formula E Championship lead with victory in Argentina as he became the first driver to win three consecutive races in the electric series. The reigning Formula E champion managed to hold off a spirited challenge from Techeetah’s Jean-Eric Vergne to extend his perfect start to his title defence. Buemi, starting from third, managed to surge to the front after pole-sitter Lucas di Grassi (Abt) led the opening laps. However, the power of Buemi’s Renault powered e.dams car propelled him to the front where he stayed following the compulsory car swap. The Swiss driver took the chequered flag by 2.9s from Vergne with di Grassi left to settle for third, although the Brazilian was placed under investigation for an unsafe release from the pits. After wins in the previous races at Hong Kong and Morocco, Buemi holds a 29 point lead in the championship standings. “Today, with the heat, there were many other things to manage,” said Buemi. “Especially the temperature of the battery. So at the start of the race, I took it pretty easy for a couple of laps to see where we were, and we had the pace to pass the other guys. 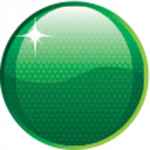 “I have to say I had everything under control and I got quite a bit of a margin. “Then on the second car we had some more issues on the brakes, so it was quite difficult to actually drive the car – the car was not braking straight. “At the end of the day, you know in this category there is no point in having a big gap, because if you use energy to create a gap and then you have a safety car, all the energy is gone. Nicolas Prost (e.dams) came through to finish fourth ahead of inaugural champion Nelson Piquet Jr. (NextEV), while Loic Duval (Dragon) scythed his way from 14th to sixth. The top 10 was completed by Daniel Abt (Abt), Jerome d’Ambrosio (Dragon), Oliver Turvey (NextEV) and Jose Maria Lopez (Virgin). New Zealander Mitch Evans was robbed of a maiden championship point after being issued a five second penalty for speeding under yellow flags, which dropped the Jaguar driver to 13th position. The FIA Formula E Championship heads to Mexico for the fourth round on April 1.